David Cohen can create a uniquely intimate atmosphere with classical music from around the world on original instruments to add the perfect touch to your event. 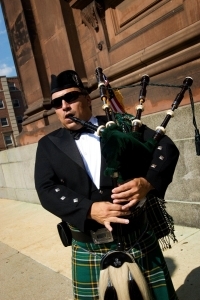 His repertoire consists of music on the classical & flamenco guitar, Chinese pipa, and bagpipes. David's unique talents have been featured in The Montgomery County Ticket, Asbury Park Press, Ocean Grove Times, The Ocean Grove Record, CBS 3, ABC 6 and NBC 10 news in Philadelphia and has been a guest on Puerto Rican Panorama WPVI T.V. Philadelphia, and Crossover w/ Jill Pasternak WRTI 90.1 Philadelphia. 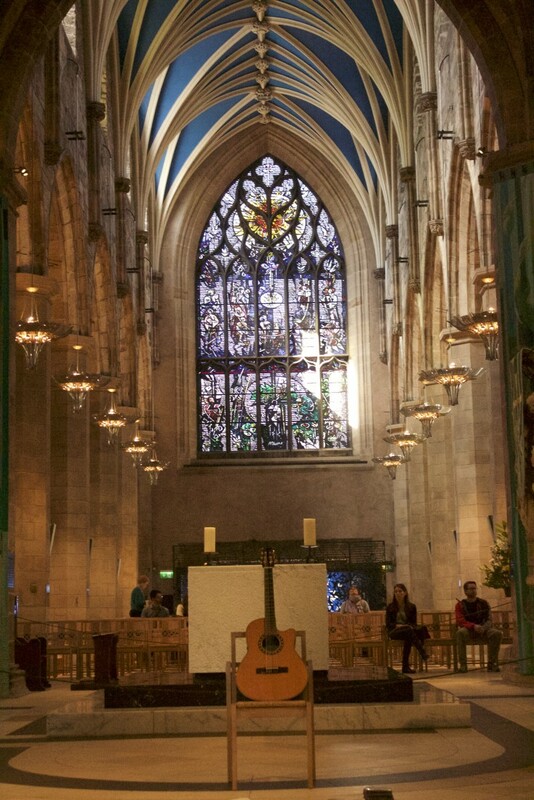 The release of David's 2nd CD Chaos Theory took him to the UK in 2016 where he gave concerts in Edinburgh, Sandwich and London. Best and Most Versatile Musician! My wife and I decided to find a musician for our wedding two weeks before we got married and came across David. He was prompt with his responses and a genuinely great person. He reached out to schedule a phone call with us right after we booked him to introduce himself to us. We built great rapport over the phone and discussed what we wanted for our wedding. He plays classical guitar, bagpipe, and pipa (a traditional Chinese string instrument that is shaped like a pear). He arrived almost an hour earlier before the event to set up and promptly performed at the time that we agreed upon. He played all of the instruments that he brought with him that day and even gave us a gift of his CD album. My wife and I could not be happier with the level of skill and professionalism of his caliber. We will definitely recommend him to our friends and family in the area who may have events that would require musicians in the future. Thank you so much for making our wedding extra special and meaningful, David! Performances are tailored to event needs depending on performance time. Sets are usually 50 minutes + 10 minute break for playing time lasting longer than 1.5 hours. 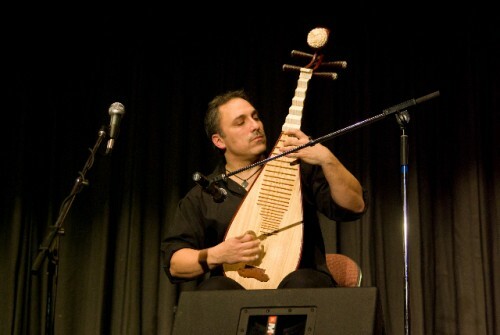 David Cohen is an award winning multi-instrumentalist and recording artist who plays the classical & flamenco guitar, Chinese pipa and the highland bagpipes. David’s two recording highlight his compositions on the guitar. 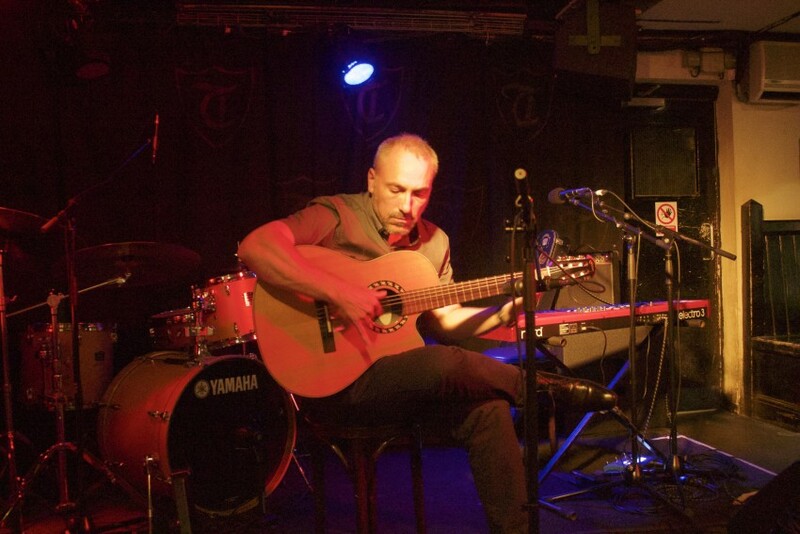 After the release of his first recording David Cohen: Guitar, David was nominated and won in the category of Best Instrumentalist in the 2012 Jersey Acoustic Musicians Awards. David was the first classical musician ever nominated in the JAM Awards. The release of Chaos Theory his second recording of original compositions, will have David embark on his first European tour with stops in Edinburgh, Kent and London. David has also performed in New York, Memphis, Nashville and Atlanta. I only require an armless chair, electricity and a shaded covered area if outdoors. Sets are original compositions unless special requests are made by hosts prior to event. I supply PA system. My requirements are an armless chair and electricity. Recent review: We loved Jim's performance at Fountain Park Chautauqua! His skill with the guitar was amazing.